Although it feels like a lifetime ago, I still remember the days of weaning my little one: how do you teach a baby who’s never eaten food how to eat? 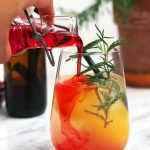 So I dialed it back to the basics: make it yummy, interesting, and easy to hold. 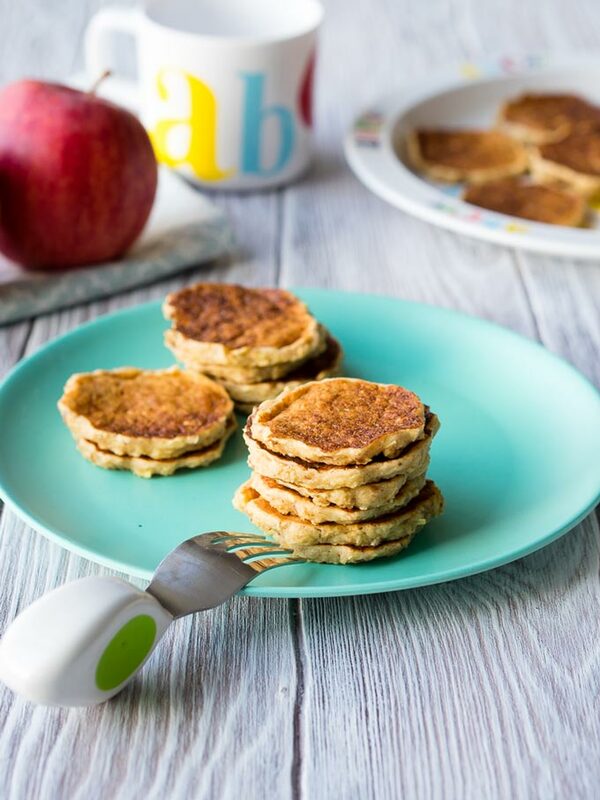 We did a lot of baby led weaning, so baby pancake recipes became a household favorite. There are tons of resources and recipes out there for weaning, but I wanted our little one to be part of the family at the dining table by eating what we were eating. And since pancakes are a regular breakfast staple in this household, I had to come up with a recipe for baby pancakes (or rather, pancakes for babies). 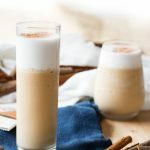 So here is a recipe for Free From Pancakes for Babies and Toddlers (milk free and egg free). One thing I starkly remember from all my reading about weaning is the concept of slowly introducing ingredients. These baby pancakes are “Free From Pancakes” because the recipe keeps it simple and uses no egg or dairy. Instead, I use the likes of oat milk and a neutral oil, paired with common favorite baby foods, apples and oatmeal. The flavors in these healthy pancakes are yummy and all natural. 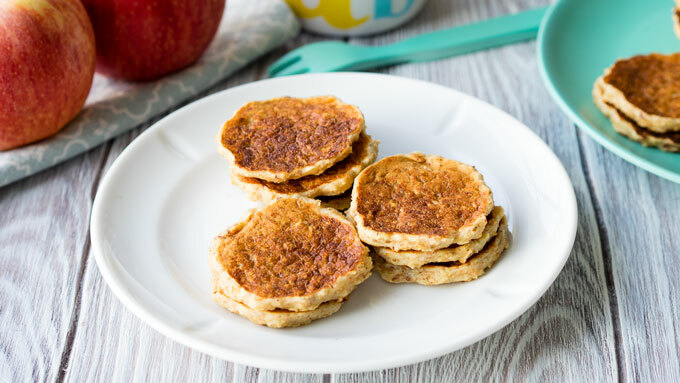 Healthy eating is important to me, so there is no added refined sugar in these pancakes; the apples and maple syrup provide the natural sugars, while the cinnamon adds a simple complementary layer of taste. When I first introduced these baby pancakes to our little one, I left out the maple syrup all together. As he is getting older, I’ve been adding some in for him. 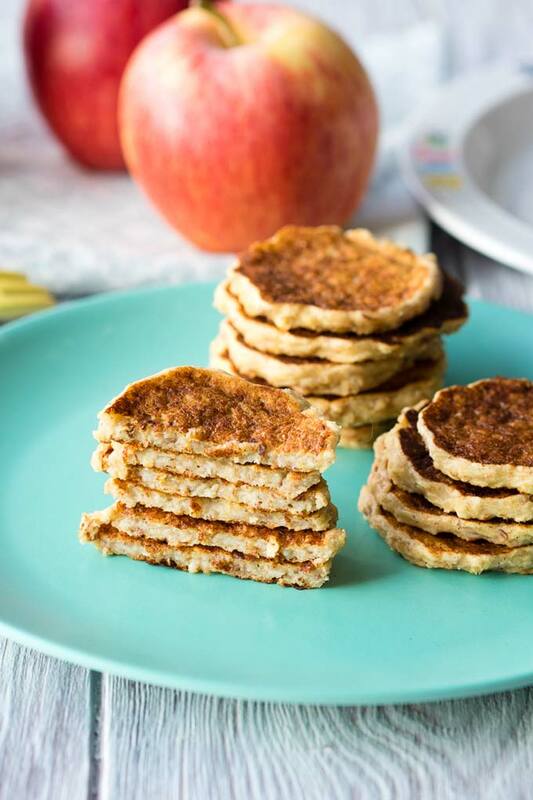 Texture-wise, these Free From Pancakes are a little chewy on the inside and the oats and apple provide some soft texture. Put it all together, and it should be an interesting and tasty experience for a baby who’s just being introduced to the world of finger foods. These Free From Pancakes for Babies and Toddlers hold together well and won’t break apart or crumble when handled by (grubby) tiny little hands. I wanted to make eating as enjoyable as possible for my lil one, and not having to worry about the food breaking apart in his fingers was key. 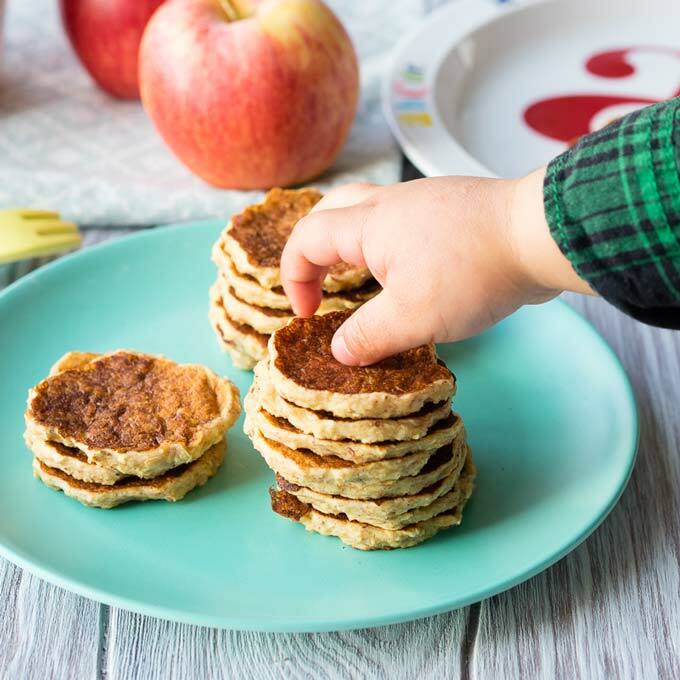 Although we normally serve these apple oatmeal pancakes for breakfast, they are actually a baby finger food recipe good for any time of day, especially as an afternoon snack. The other benefit of making these allergy-friendly baby pancakes? 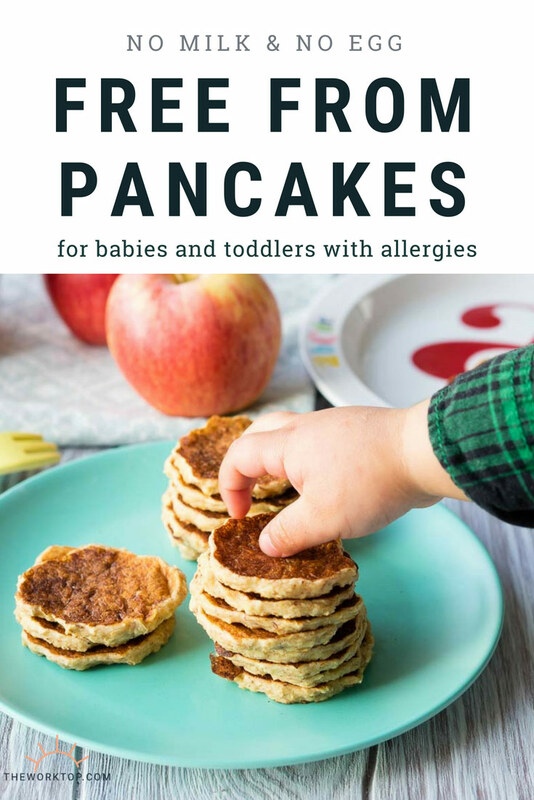 It’ll become an activity your little one will enjoy doing with you as they get older whether it’s pouring flour into a measuring cup, mixing the batter, or one day making pancakes “ALL BY SELF” (as my toddler says). * A note about allergies: If your lil one has allergies, I can empathize. Although a baby’s food allergies can feel like it complicates the weaning process, I’ve found there is a silver lining because it actually simplifies the types of ingredients for you to use. My son is sensitive to dairy, eggs, and corn, so these are corn, milk, and egg free pancakes. The recipe mostly uses oats, but I do use a bit of wheat flour too. You can swap out the wheat flour for gluten free flour to keep these gluten free if you need. That’s why we call these “free from” and allergy pancakes. 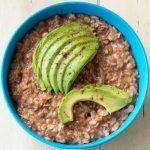 In a medium bowl, using a fork, stir together the oats, ground flaxseed meal and oat milk. Set the bowl aside and allow it to sit so the oats soften a little. In the meantime, peel and grate the two apples. Add all the ingredients into the bowl and use a fork to mix everything together. The batter will be thick and chunky from the oats and apples. Heat a skillet on medium heat, and coat the skillet with a bit of oil. Using a small cookie scoop, scoop about 1/2 tablespoon of batter for each pancake. Drop the batter on the skillet, and using the back of the spoon gently spread the batter into a circle about the thickness of 3 coins. Cook for about 2 minutes, until the tops of the pancakes are starting to dry and the bottom of the pancakes are golden brown. Gently flip and lightly press down on the pancakes using the back of the spatula. Cook until the pancakes are lightly browned on the other side, about an additional 2 minutes. Remove and cool on a plate. Allow to cool before serving to little ones. You may want to cut these pancakes into strips or pieces for younger babies. My son is sensitive to corn, dairy, and eggs, so these are corn, dairy, and egg free pancakes. The recipe mostly uses oats, but I do use a bit of wheat flour too. You can swap out the wheat flour for gluten free flour to keep these gluten free. That’s why we call these “free from” and allergy pancakes. We have made these pancakes with whole wheat flour, spelt flour, buckwheat flour, and a mix of flours including quinoa flour. Feel free to experiment. 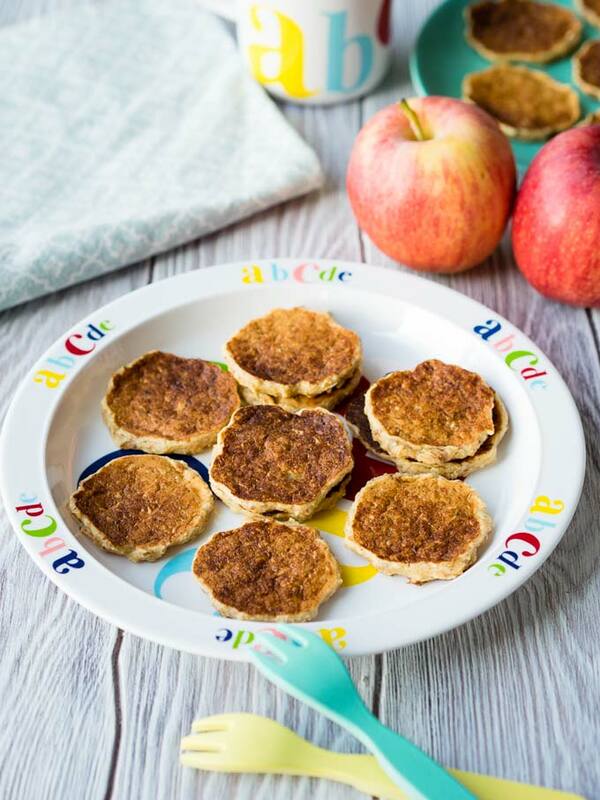 Looking for Breakfast Ideas for Babies and Toddlers? 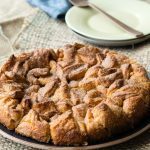 See more recipes! These are amazing!! 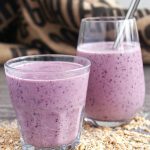 We add mashed banana and blueberries! What’s the best way to reheat then the next day? Hi Lola. I’d leave it on the counter for it to get to room temp, or heat lightly in the microwave. If you have a toaster oven though, you can try that too. So happy to hear you like these pancakes! Hi, you can try ground chia seeds. Enjoy! Worth mentioning that most Oats contain gluten so it’s important to buy gluten free oats. Thanks for the recipe! Love these! Would you recommend freezing these as made pancakes or maybe keeping the mixture in the fridge to cook off everyday? Too much for one little one and not sure how long to keep made pancakes in the fridge?? Freeze them! I freeze on a cooling rack, then bag them into a ziplock bag. You can also store in the refrigerator a couple days. But more often than not, we (the parents) just finish off the batch. I don’t think the mixture would save though, so cook them all at once.